Solve application performance problems at the transaction level to improve user experience. Monitor web pages and distributed transaction performance through all server app tiers and understand the impact on user experience. Find out where your app performance problem is. Isolate problems down to the specific line of code, SQL statement, Ajax request, or log message. Find app performance problems in minutes and provide this information to your dev teams to repair the problems and validate fixes for production. Trace transactions across distributed application tiers to show end-to-end transaction flows. See code-level detail for every user interaction. Capture log messages as they’re generated through all the application tiers along with the context of the transaction. 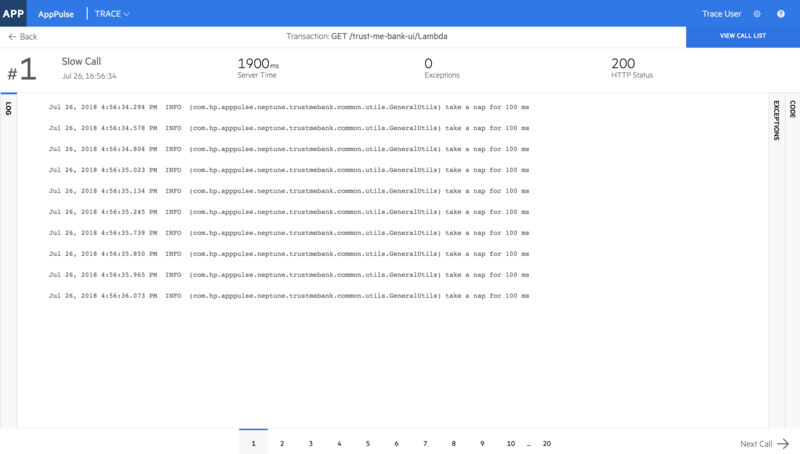 AppPulse Trace shows transaction paths through each app service with direct links to code, exception, and log details. 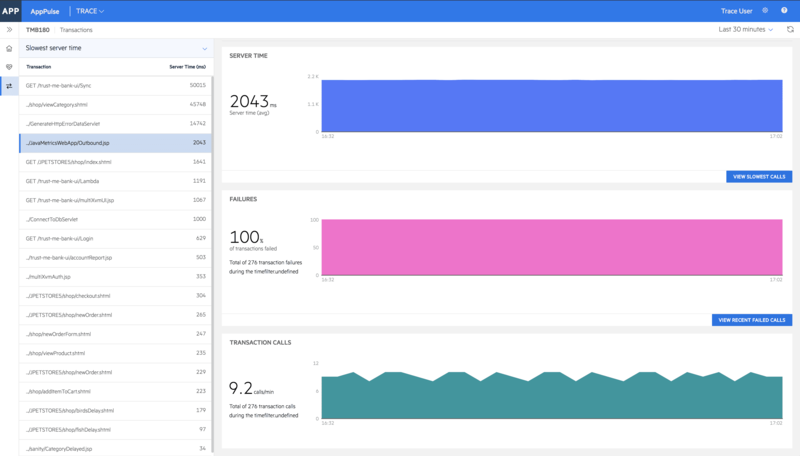 AppPulse Trace lets you drill down into the code, log, or SQL detail for each transaction step to find the root cause of web app performance problems. Log message tracing displays log messages written in the context of an individual transaction in one place. Micro Focus® AppPulse Trace gives you the visibility to find and fix problems right away. It allows you to isolate issues negatively impacting the user experience and drill down to the root cause so users stay happy and avoid revenue loss or brand damage.